(By Editor-in-Chief Ed Ryan) For more than a decade, David Field has been searching for a deal that would transform his company into a major player in the industry. Entercom was by no means a minor player before 2017, but Field wanted it to have a large enough footprint in major-market America to allow him to battle head-to-head with other major media companies outside of radio and bring new revenue into the industry. He needed scale. Along the way Field had a shot at ABC Radio and Citadel and decided to pass. More recently, Entercom purchased 15 stations from Lincoln Financial, but it was not at the table when Greater Media was sold. As the years went by, Field was constantly in contact with CBS Corporation COO Joe Ianniello to check on the status of the CBS Radio stations. Field had his eyes on the big prize, a historic roster of CBS Radio facilities in major markets where Field knew he could gain the scale he wanted and take his pro-radio pitch to the biggest advertisers on the planet. Especially those advertisers that were not seeing the value of radio the way Field did as he enthusiastically boasted about it. Little by little, observers started to sense that the suits in the corner offices at CBS HQ wanted to cut ties with the radio division. CBS had really become all about TV and was churning out billions of dollars in revenue from its various TV projects. And radio, even with its $1 billion in annual revenue, needed to go. So Field, with that relationship he’d established with Ianniello, made the call at the right time, and the two sides came up with a Reverse Morris Trust merger that provided the tax benefits CBS wanted and the scale Field needs to move closer to the very top of the radio world. The announcement was made on February 2, 2017, and the deal closed on November 17. Now with over 240 radio stations in 23 of the top 25 markets across the country, Field is setting out to convince advertisers they need to spend more, not only with his company, but with the entire radio industry. Field is probably the executive most consistently shouting that radio has been undervalued for far too long. David Field has stated on the record many times that radio suffers from a woeful lack of industry advocacy that has enabled false perceptions to permeate the thinking of advertising leaders. He likes to say radio has been punching below its weight class. And now he is setting out to change that. David Field took full control of the company started by his father, Joe Field, in 2002. This is the second time Field has been chosen as Radio Ink’s Radio Executive of the Year (the first time was in 2006). Here is our interview with the 2018 Radio Executive of the Year, David Field. Radio Ink: Wouldn’t you agree that you and Entercom have had quite a year? Field: Yes. It has been an extraordinary year, and really two years, since the conversations began and we were able to start down this path. Getting to the starting line November 17 unleashed a wave of activity and transformation that I truly believe is not only a game-changer for Entercom, but for radio, and will have an impact on the media landscape as well. Radio Ink: Since you have been CEO, how long have you been looking for something like this for the company? Field: We have aspired to true scale for 10-20 years. We had the opportunity to look at ABC Radio and Citadel and for a number of reasons elected to pass on those, and CBS Radio was always the gold standard. The best brands, the best local talent, and, combined with the legacy Entercom stations, delivering true scale and making Entercom one of the two full-scale players in the industry. This is the culmination of a lot of hard work and puts us in a really competitive position to compete effectively going forward and, frankly, drive what we believe will be a substantial acceleration in revenue growth as we compete far more effectively against other media for share of the total ad spending. Radio Ink: Were there any near misses along the way? Field: We were at the table on ABC Radio and Citadel. Those assets and those deals paled in comparison to CBS Radio, and for a number of reasons — which at this point are ancient history — we elected not to go down those roads. I think history has demonstrated that we made the right calls on doing either ABC or Citadel. Radio Ink: Can you give us insight to how it all started with CBS? When you heard what was going on over there — that they wanted to move radio — did you make a call to Andre Fernandez? Field: Andre had nothing to do with this; I first approached Joe Ianniello. I have always believed that the combination of these two companies would be transformational and would create something very special, and it ultimately culminated in this merger. This deal was always at the highest level of CBS Corporation and never had anything to do with the CBS Radio folks. In fact, Andre was informed of this merger by CBS corporate just before it was announced publicly. Radio Ink: Were there things you learned from the Lincoln Financial deal that helped you with this deal? Field: We are a learning organization and are always open to new ideas. We have done dozens of acquisitions over the years, from Sinclair’s radio group to the Lincoln radio group and many others in between, and have learned something from all of them. Radio Ink: The CBS stations seemed to take a beating over the last few years in the press. How are things going with them? Field: I think we are off to an outstanding start. We could not be happier with the first 30 days if you look at all we have accomplished, with new format launches to new business practices to an all-star team of leaders who have joined the organization. There have been so many great things that have been accomplished, and the best is yet to come. We have ambitious plans and made some very big investments, and we are going to be a significant growth organization. 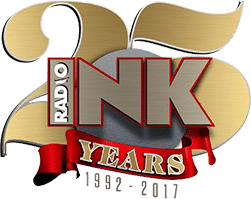 Radio Ink: How hard was it to let go of stations you had been running for so many years? Field: It was hard. You want to keep all the stations, and it required us to say goodbye to a number of people who are terrific and who are missed. But it was what was required to get the deal done. Radio Ink: When employees are dealing with a situation with two companies — and they know some people are not going to be around, but they still have to operate — how is it to be a leader/manager in a situation like that? Field: We are in the process of building a very special company that is creating a wealth of opportunities for highly talented men and women to join and thrive and grow within the organization. We have been able to bring aboard a number of terrific folks to join the team. There has been, in the overlap markets, a certain degree of consternation as people were looking for certainty, but you work through it and take care of people in the best manner you can. The human aspect of it, you have to be thoughtful about it, but I will tell you, talented people find great opportunities to continue to grow. You create the best environment you can for talented people to grow. Radio Ink: Why is this deal going to be good for the entire industry? Field: First, let’s start with how the industry is positioned for the future. Radio’s competitive position has never been stronger. You look at the disruption that is going on in virtually every other media, and radio is incredibly undervalued vis-à-vis the other advertiser choices. Entercom now has the scale to be a strong advocate for radio, joining iHeart in creating a second major platform for advertisers to engage with. A perfect example is the ad campaign we are running right now in AdAge, Adweek, Variety, Billboard, and the digital New York Times and Wall Street Journal. It lays out the case for radio and why radio deserves a much larger share of ad spending. Our scale and resources enabled us to be a bold advocate for radio, and we continue to do so going forward. Radio Ink: About the ad campaign, I’m guessing you spent a decent amount on that. You don’t see a lot of others in the business doing that. What are you hoping to accomplish? Field: Radio is the most undervalued medium in the U.S., and a large part of that is because we have done a poor job of advocacy as an industry, and we need to get our story out there. This campaign, along with other things that we will be working on, will be taking that story in a powerful way out to the critical media and marketing decisionmakers. Radio Ink: Are you getting any feedback from the ad campaign, or big advertisers saying they need to give radio a second look? Field: We are in week one of the ad campaign, so clearly it is getting some impact out there, but we need to give it time till we can speak in any meaningful way about its impact. I would say this is not a silver bullet; it is part of a more comprehensive approach to elevating radio and elevating Entercom within the ad community. Radio Ink: You seem to be the lone wolf out there on this. Would it be helpful if the other two major companies did something similar? Field: I don’t agree that Entercom is the lone wolf. I think that every major broadcaster would emphatically agree with the point. In our own ways, everybody is out telling the story. Radio Ink: Are there things that can be done better in the markets so radio can get more of the revenue? Are we playing too many spots, fighting each other over the same pie? What would you like to see done better? Field: The fundamental point is that advertisers have overlooked and undervalued radio. Radio today reaches more people than other media and arguably has the number one ROI of any major media. Radio is also the least disrupted medium, and the best medium at activating audiences. Radio deserves a much higher share of the pie. We will be working across multiple channels to induce major advertisers to shift spending into Entercom and into radio. Radio Ink: You guys are so dominant in the Sports format. Why do you love the play-by-play and sports so much? What is it about that format? Field: We love radio, and we love all forms of radio. Sports radio happens to be a particularly exceptional form of radio in how it engages audiences and drives listener passion. We have also made a big investment in podcasting, where we are now the number two player. We are making a big push in Alternative radio, where we are now the number one player. We continue to love all forms of radio. Radio Ink: What would you say to a room full of CEOs regarding what we can do better to promote radio? Field: Radio is an incredibly undervalued medium that is poised for a potential renaissance, and we need to tell our story and demonstrate why advertisers should be shifting significant portions of their budgets from other media into radio. We also need to look for ways to improve the listener and advertiser experience and not shoot ourselves in the foot with myopic business practices. If you want to look at an example of radio operating in a smart manner that leads to dramatic acceleration, look at the UK, where radio is growing organically and mid-single-digits every year through the effective leadership of Global Radio and what they are doing to operate in a smart, strategic manner. Their success reaffirms the potential for accomplishing the same thing here in the U.S.
Radio Ink: Do you believe that advertisers are finding digital is not all they thought it would be and that they will start having second thoughts? Field: Digital advertising has many wonderful qualities, but it is true that ad fraud, visibility issues, and brand safety issues are concerning many advertisers. Radio Ink: Do you want to see more deregulation? Field: I think there is a regulatory imbalance today that punishes traditional media like radio and benefits other media, and we need to level the playing field. Radio Ink: What do you want to say about your team? Field: From day one, I made it clear that there was nothing more important than building an outstanding starting lineup of best-in-class leaders to lead us forward. That has been our highest priority. We are really excited about the leadership team that we have built and of the over 8,000 highly talented people playing important roles within our company all across the country.